Volume One is leaving. And arriving. Pardon our fantastic dust. Above: The first floor of Volume One’s new World Headquarters at 205 N. Dewey Street – the new home of the The Local Store. Click for a biggie. The countdown is on here at the Volume One office. The boxes are packed, our desks are emptied, and our minds have started to wander as we get ready to leave the office we've known for almost seven years. In just a week our staff moves into the place we've been remodeling since January – at 205 N. Dewey Street (on the corner of Galloway and Dewey). 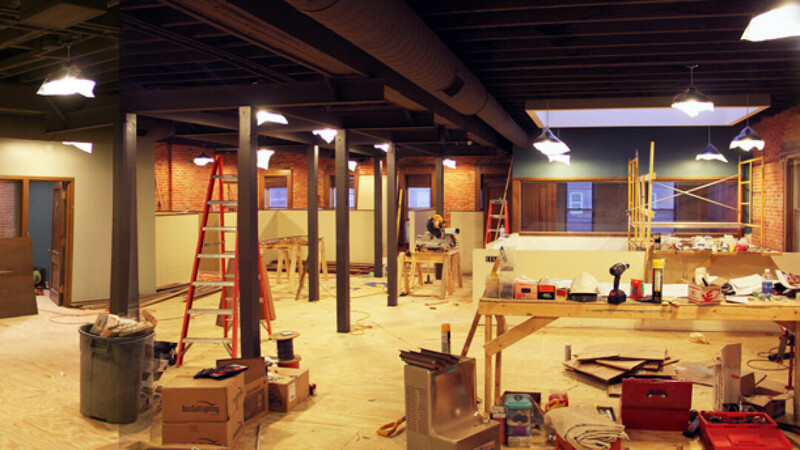 The second floor (our office) is almost ready for us to come work. So as of May 31, if you need to find us, we'll officially be in the new place. Unfortunately, the re-opening of the Local Store on the main level will be a couple weeks behind that (but trust us, once it opens you're going to love it). We'll announce a soft-opening for it as soon as we can, and there will of course be a big ol' party yet this summer. The in-progress wide shot from last week (click for a bigger pic) shows what will become the new Local Store – so as you can see there's a little ways to go yet. But it's that main level that's the most exciting. We've booked our first art show and reception for the gallery, we have our first special music event lined up, and we've even set up a local music video debut screening – all happening towards the end of June. We'll also be unveiling a bunch of new products at the store too – so it's going to be a fun summer. And! We'll let you know about the new creative co-working facility soon too – dubbed WorkSpace – as that will likely open sometime in July. So, if you want to come say goodbye to the old space, we'll be here (17 S. Barstow St.) and The Local Store will be open through this Saturday. Then we're packing it all up and making the four block trek to our permanent new home! Wish us luck! 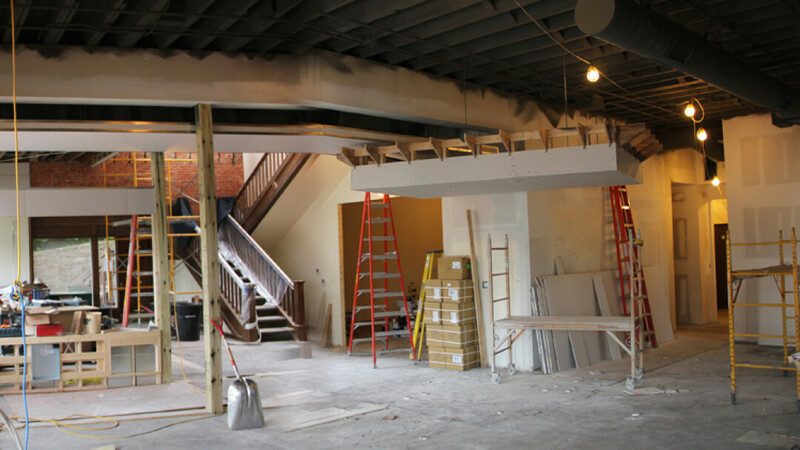 Above: The second floor of Volume One’s new World Headquarters at 205 N. Dewey Street (where the magic will be happening). Click for a biggie.